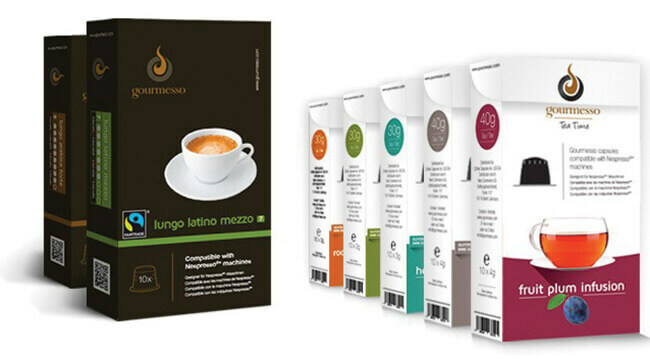 Gourmesso is a company that delivers the finest blends of coffee and tea for your favorite Nespresso or Keurig machine. Originally founded in Berlin, Gourmesso is now also available in the United States, offering superior international blends and delivering them directly to your doorstep. Find out more about this extraordinary coffee and tea delivery in our Gourmesso review. Americans have long enjoyed the quality and delicate taste of espresso. 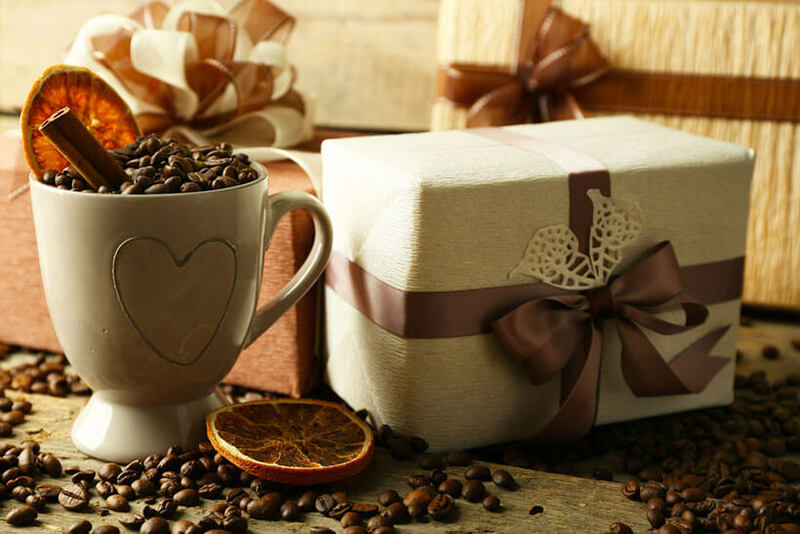 Gourmesso has recognized our nation’s love for coffee, providing high-quality services to everyone who enjoys superb flavor served in a small cup. Gourmesso cooperates with the best coffee producers in the world in order to bring the finest blends to your table. They offer an amazing variety of first-class coffee pods that are compatible with your Nespresso or Keurig machine. Top-of-the-line beans are sourced from plantations in India, Africa, and South America. They are roasted, ground, and packed in sustainable packages so that the taste wouldn’t fade before they reach you. In Gourmesso’s rich offer, you can find exquisite espressos, decaf lungo, and flavored coffee. The capsules are created to fit perfectly in your Nespresso machine, which means you can enjoy top-quality coffee in a matter of minutes. With Gourmesso, you can opt for a monthly or quarterly subscription. The monthly subscription includes a shipment of coffee pods you choose from the menu. If you opt for the 3-month subscription, you can also pick your coffee, but it’ll be delivered once in every 3 months. The only problem is that you can’t change the sorts of coffee whenever you want. Instead, you need to cancel your subscription and sign up for a new one. You get to choose your favorite coffee blends at a distinctively affordable price. Moreover, you’re going to spare yourself the hassle of running all around town and searching for coffee capsules that match your machine because Gourmesso delivers coffee pods to your home anywhere in the US or Canada. In case you have any problems with your order – or any question at all – you can reach customer support by simply filling the form that’s available on their website. You can also send them an email or contact them via phone. Customer support service is available during weekdays and on most weekends. With Gourmesso, a unique selection of the finest coffee blends from all over the world is delivered to your doorstep. Their offer boasts some of the most superior flavors of Arabica and Robusta beans, thoroughly roasted and carefully ground to achieve the most distinguished taste. 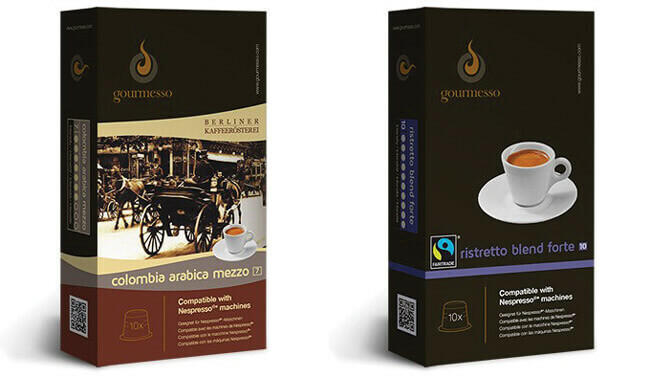 Coffee capsules from Gourmesso are a perfect alternative for Nespresso. The biggest difference isn’t in the quality or flavor. It’s in the price. Gourmesso pods are the most affordable coffee capsules for Nespresso machines on the market and their Keurig pods are equally budget-friendly. Besides the excellent coffee, Gourmesso also offers first-class tea capsules. The most splendid flavors of black, mint, and rooibos tea are now available in capsules and you can order them alongside your preferred coffee. Gourmesso brings the magic of espresso to your home. As already stated in this Gourmesso review, the finest Robusta and Arabica blends can be delivered to your home every month or every 3 months. Gourmesso subscriptions are very flexible when it comes to the variety and amount of coffee or tea you can order. You can choose any coffee and tea capsules that are offered on their website. There are numerous espresso blends, ranging from mild, sweet flavors to the most intense, concentrated tastes. For instance, you can opt for a strong blend from Ethiopia or a lighter one made of Colombian Arabica. If you’re more of a lungo lover, you can get a full-bodied Lungo Italico Forte or a milder version of lungo coffee made of organically grown Arabica and Robusta beans. In case caffeine isn’t your best friend, you can opt for a decaf lungo and satisfy both your palate and your stomach. And for all of you who like your coffee sweet, Gourmesso presents a special line of flavored coffee. You can get your medium strong coffee with various flavors, including caramel, chocolate, coconut, and cherry. Finally, if you are a tea lover, you can choose from a colorful selection of green, black, mint or fruit tea or get them all – there aren’t any limitations. Gourmesso coffee is very affordable. Their coffee pods are available from $0.45 per capsule. You can sign up for a monthly or quarterly subscription. With the monthly subscription, you get to choose between 4 plans. If you order 50 capsules/month, the subscription costs $22.50. For 100 capsules/month, you need to pay $45. 120 capsules/month amount to $55. If you opt for 150 capsules/month, the monthly subscription fee is $67.50. With the 3-month subscription, you can get 150 capsules every 3 months for $67.50, 200 capsules for $90, 250 capsules for $115 or 400 capsules for $180. If your order is above $50, shipping is free for deliveries in the US and Puerto Rico. In case your order costs less than $50, you will have to pay $4.99 for shipping. If your order costs more than $75, shipping to Canada is also free. Gourmesso covers the whole United States and they also ship to Puerto Rico and Canada. They deliver only on weekdays and don’t deliver on holidays. Every order is processed within 24 hours and the shipments are delivered within 2 to 4 days. To make sure Gourmesso meets all your standards and expectations, it is important to know its biggest advantages and disadvantages. With a short overview of its pros and cons, you can easily decide if Gourmesso is the right company for you. Gourmesso is an excellent alternative to your standard Nespresso capsules and Keurig pods that will rival their flavor and aroma while allowing you to save up to 35% with every cup. The official website offers a wide range of convenient discounts at any given moment and the company gives free shipping for orders north of $50 ($75 in Canada). Gourmesso capsules are 100% compatible with all the usual Nespresso and Keurig machines and feature Bio & Fairtrade certifications. You can choose between 28 different coffees ranging from Soffio Caramello for a smooth and buttery flavor to Nespresso Ristretto for the strongest espresso experience. Your goods are usually delivered within 1-2 business days. If you’re still unsure if Gourmesso can “fill the shoes” of your regular brand, the company features a very budget-friendly list of trial bundles, which include some of the most popular Gourmesso varieties. In conclusion, Gourmesso capsules taste amazing, allow you to enjoy many different types of coffee, fit in all popular Nespresso and Keurig machines, and save you a lot of money along the way. Our ratings are the result of an objective and independent evaluation of Gourmesso, generating the final rating that reflects the overall quality of the product. Ratings may change as the service changes. No user reviews yet! Be the first to review Gourmesso. We found 1 verified Gourmesso promo code for April, 2019. Free Pack Buy 10 packs, get 1 pack FREE!